If you have ever made a New Year's Resolution to get into shape, then you'll understand how an advertising campaign works. In your renewed motivation at the beginning of the year, you head to the gym every day. After one week of heading to the gym, would you expect to see six pack abs staring back at you in the mirror? Of course not, you know that you need to complete enough repetitions in order to see results. Your advertising campaign works the exact same way. To enjoy the best results, you need to make sure that your commercial gets a proper workout. Research on advertising effectiveness has shown that it takes six to twelve repetitions for an ad to cut through to your prospects. Other research has indicated that you need at least three months of daily exposure to be effective. This is a good thing because advertising should be thought of as a long-term investment. According to marketing experts, "Your advertising investment puts you in a more advantageous competitive situation at any point in the future. Advertise to make your marketing effort easier in the future (and your competitors' more difficult). *"
The best part of location based TV advertising is that it effortlessly offers this repetition. For example, on college campuses, you can have your ad play every 20 minutes or every 4 minutes at your local grocery store. 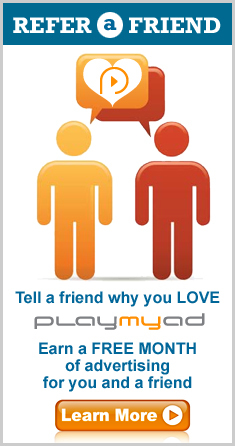 To achieve this level of repetition in other forms of advertising such as radio or traditional TV advertising, it would cost tens of thousands of dollars versus some of the campaigns offered by PlayMyAd which start at a very affordable $55 a month. 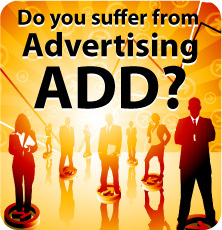 Don't suffer from advertising ADD. Just like your workout, you need more reps to be effective. More trips to the gym, more workouts, and more pushups. 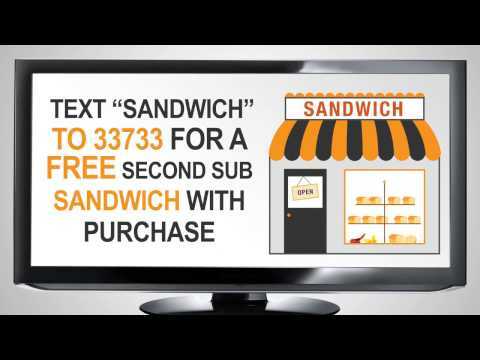 For your location based TV advertising campaign, you need repetition, repetition, and more repetition to achieve the best results from this form of advertising. Be advertising smart and reap all the immense rewards of a long term investment in advertising for your small business.